Backed by our immense domain knowledge and vast industry experience, we are manufacturing and supplying Fiberglass AR Bidrection as well Uni-Direction cloth for Structural Reinforcement that is extensively used for enhancing the structural strength in civil construction and is used with epoxy. We maintain rigid standards of quality in agreement with set norms of the industry and offer this in different GSM specifications. We supplier fiberglass cloth of 60gsm to 200gsm density used as reinforcement in civil construction used with epoxy for enhancing the structural strength. 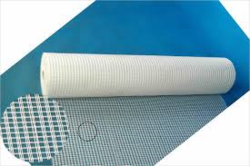 We are engaged in manufacture and supply of Fiberglass Mesh Cloth For Waterproofing that is made by using cutting edge technologies by applying seamless coating of acrylic acid co-polymer liquid. It is extensively used for waterproofing roofs, plaster boards, artificial stones and natural marbles. Our valued patrons can avail the same at leading industry rates. 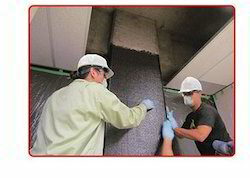 Looking for Fiberglass Cloth for Construction ?